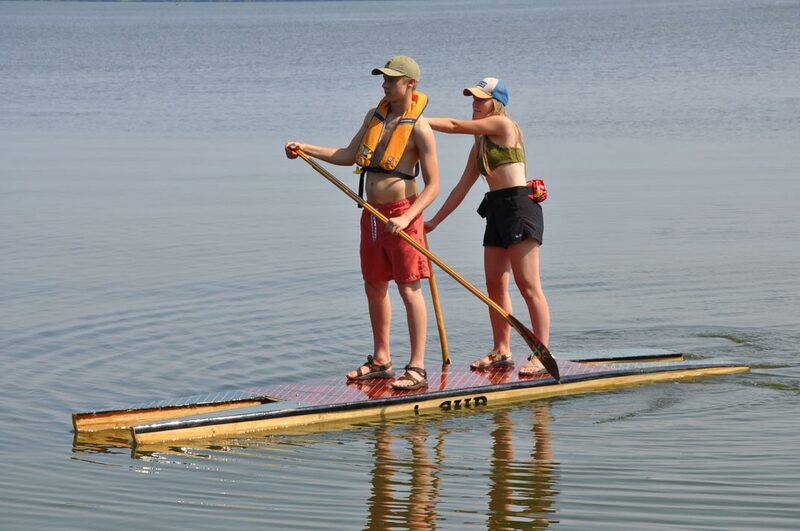 paddle boards that are part catamaran - supCAT! 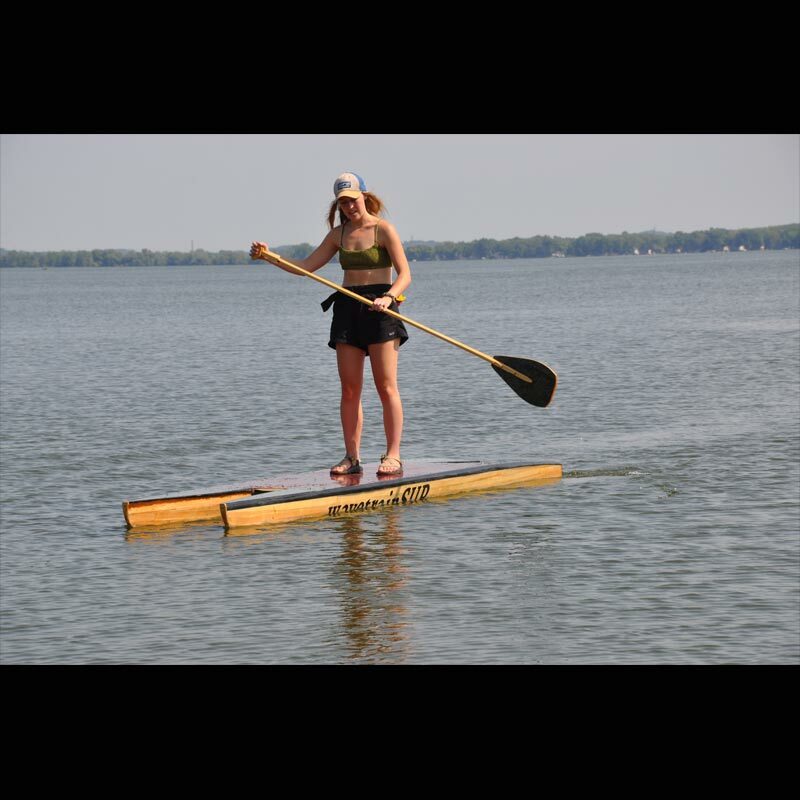 supCAT boards are all that and more. 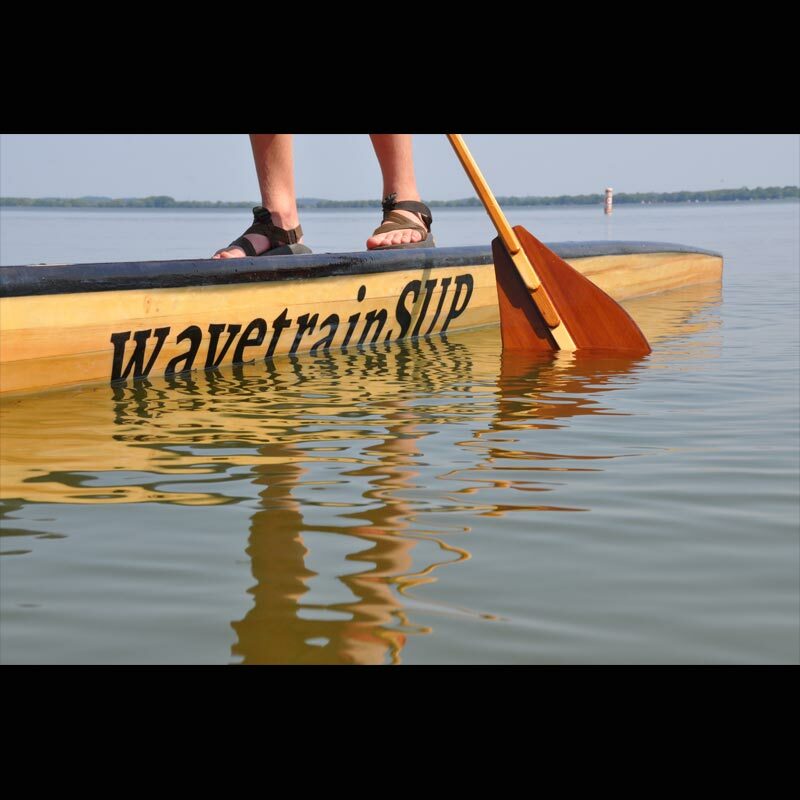 supCAT boards are catamarans built for standup paddling. 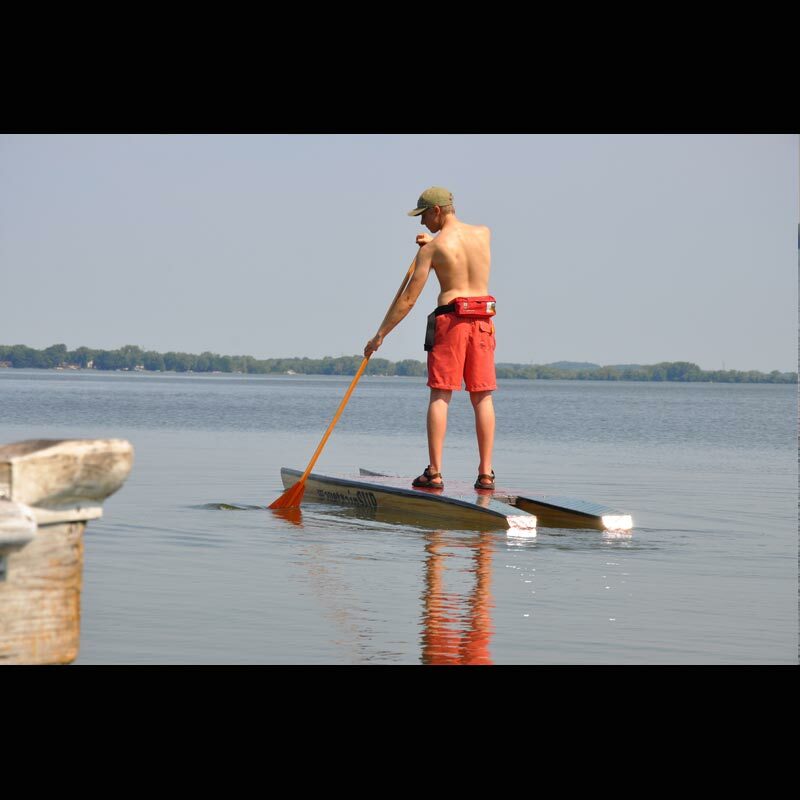 A supCAT starts with two pontoons and a deck. It includes a base set of ‘made to order’ features and can also include optional add-ons like: a variety of lengths and widths, several different wood species, ‘pinstripes’, a custom decal, hatches, and ‘one of a kind’ deck designs. July 2018 was just the right time for this supCAT to get wet. It handled well and felt great. As the pics show, it nicely fits two people. There's something about wood boats that is hard to quantify. For me as a builder, I love the smell when I'm working the wood into shape, the feel of a spokeshave as it moves across a piece of wood, and the look of the wood as it comes alive under epoxy or varnish. 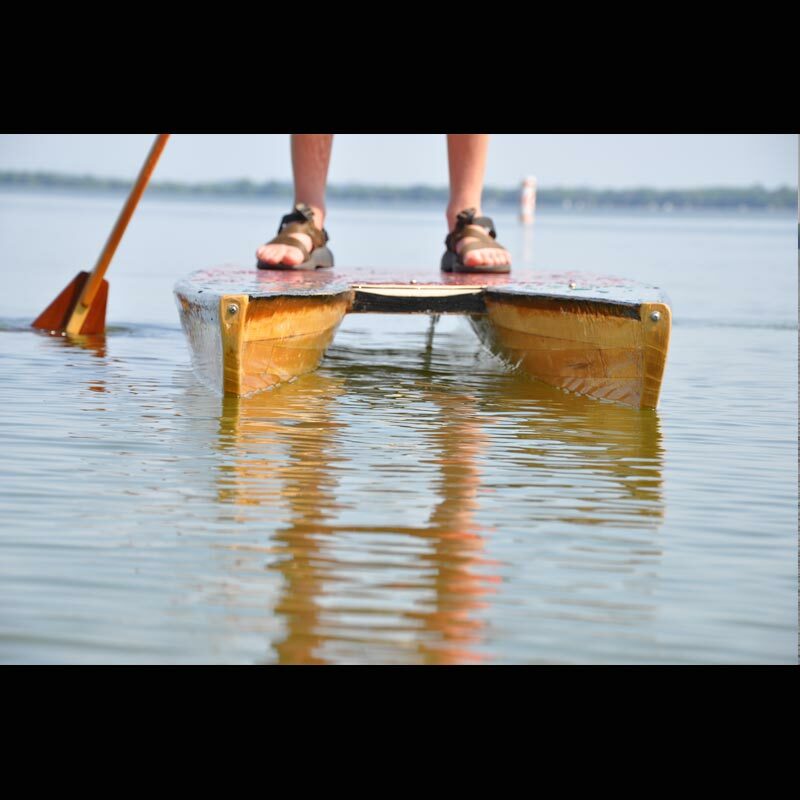 As a paddler, the feel of a wood boat as it slips through the water is very satisfying. For the past few (winter) months, we've been developing a set of plans as well as kits for those who want to build their own. 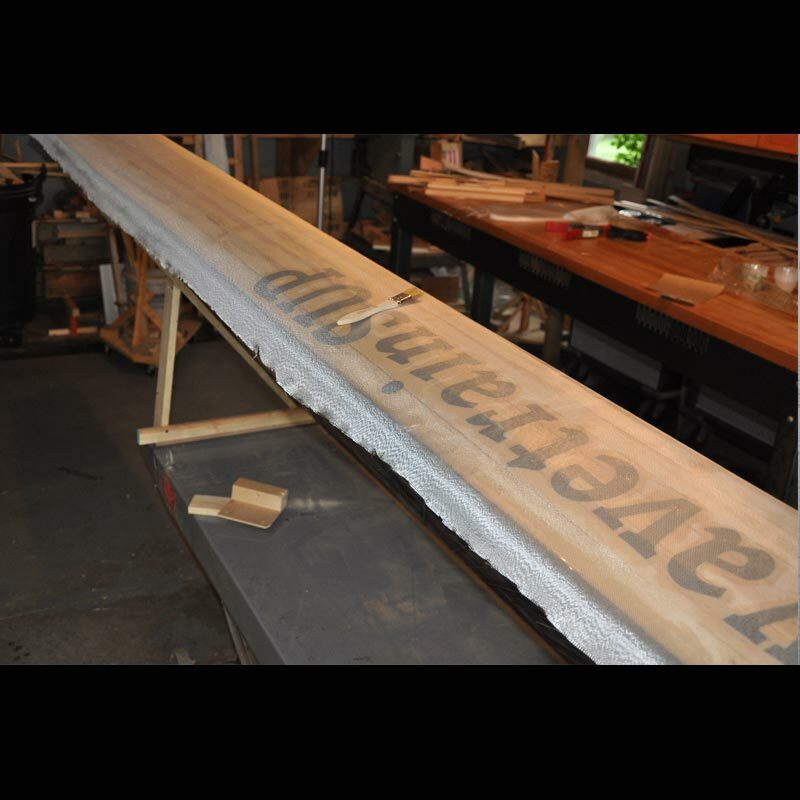 Of course, we're more than happy to talk and come up with a plan for your own custom supCAT. a simple open deck. Plenty of design options are possible - ranging from hatches to built-in fishing rod holders! 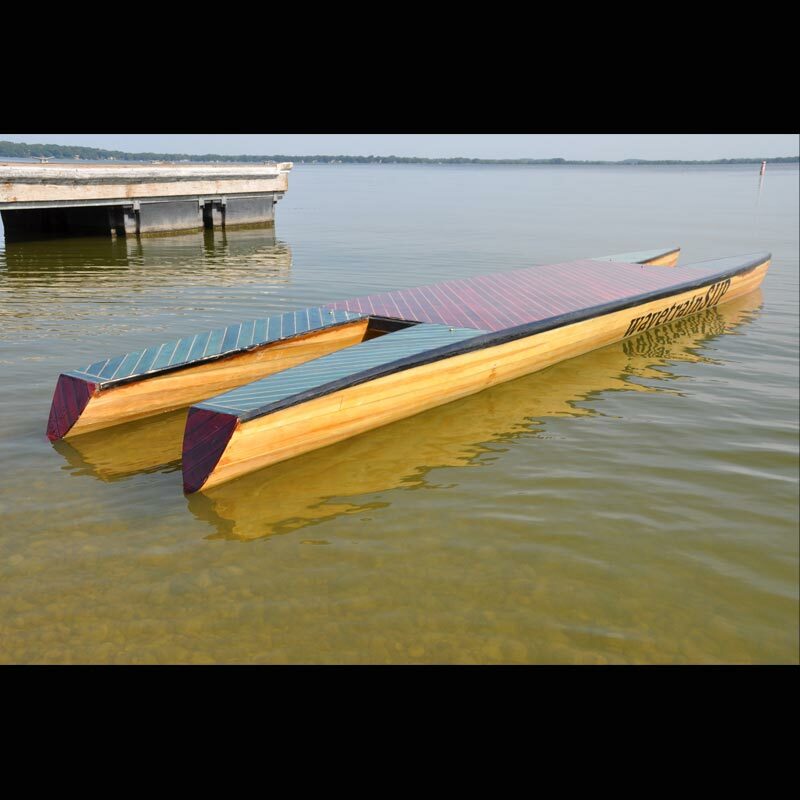 #2 - Pontoons in this Model are White Pine. Deck is Dyed White Pine. #3 - Deck can be Custom Designed; only Limits are the Wood Bending Tolerance and Time. 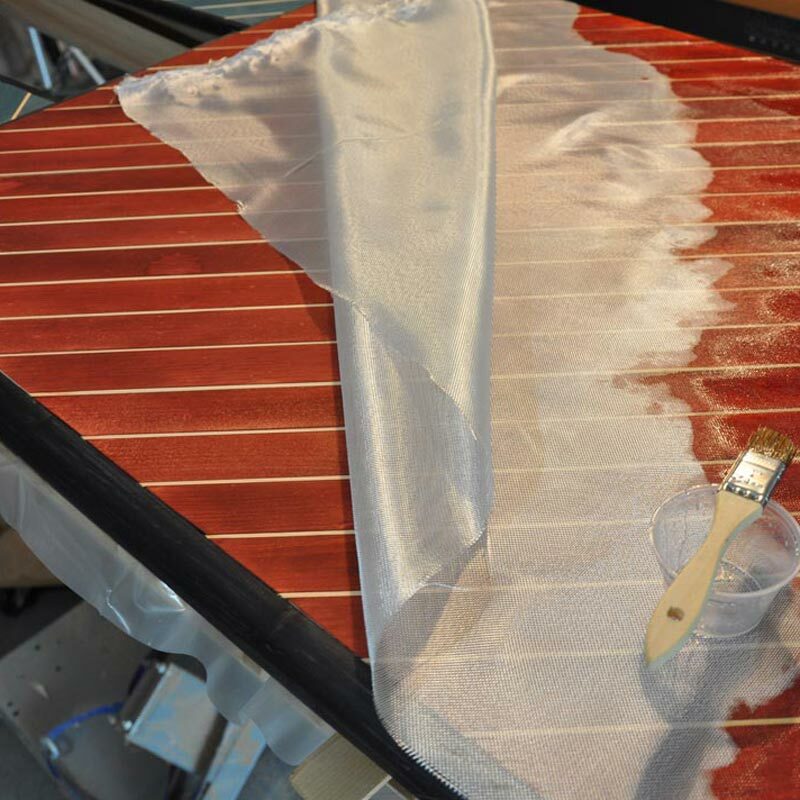 #5 - Fiberglass Cloth and Epoxy Going on over Wood and Decal. #6 - the Large Deck has Plenty of Space for Fly Fishing and Other Pursuits that Want Deck Space (chair anyone?). #7 - The Deck and Bow Ends of the Pontoons are Flat. 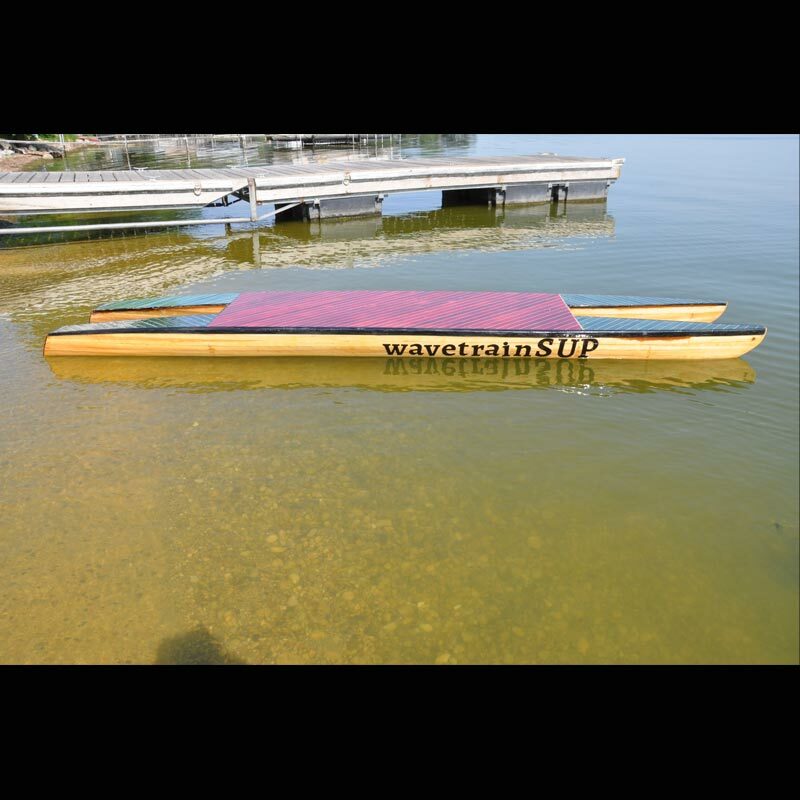 Sloping the Bow	Ends Up is an Option for your supCAT. #8 - the Stern End of the Pontoons Narrow and Angle Down. Old Chris Craft Barrel Backs Are the Inspiration. # 9 - First Water. My favorite - Lake Kegonsa, WI. #10 - Fiberglass and Epoxy Add Amazing Strength and a Vibrant Surface. #11 - White Pine is a Beautiful Ivory Color. #12 - Plenty of Room for Two. Deck Length is a Design Option. Canocopia has come and gone. This weekend is rumored to be in the 60° range. The ice on the lakes may finally start melting. A new drysuit waits for its first use. Time to chase some icebergs!